A bright, young comedian with a show about being overwhelmed by what life has to throw at us. I started the day really well, though as I’m writing this it’s 2pm and I have spicy sriracha sauce down my (white) top which actually happens more often than you’d think. Three weeks ago, I had three different types of spicy sauce down my top by 7pm. I’ve also just paid the deposit on our Edinburgh Fringe flat. Well, the blurb is about being inundated with everything in life and by crikey we’re all inundated all the time so it is probably the most accurate blurb I’ve written. All the TV credits are correct, unless anyone from BBC/Sky/Comedy Central comes to a preview and try and make me take them off. Nah, still a lonely, single chubby lad with no pension or mortgage. 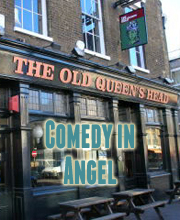 Tim Key (winner of the 2009 comedy award), John Kearns (winner of the 2013 newcomer comedy award & 2014 comedy award) and Pat Cahill (Chortle Best Newcomer 2012, Hackney New Act of the Year 2012 and BBC Finalist ). You really think they need help surviving? This is all on them to help me. I better bloody win something this year. Never seen the Tattoo – would be up for that. Obviously I’ll be one of those comedians at Daniel Kitson’s show and I think I’ll try and just try and ride the fringe vibe and see who’s got a corker. Oh and the three pricks I’m living with – really excited about going to see their (probably award nominated) shows. Mother India – arguably my favourite restaurant in the UK. I think it’s part of the reason why I agree to go up to Edinburgh each year. My favourite moment was in 2013 when I went with Rob Beckett, we shared a prawn dish, we decided to go halves and have three prawns each, but the last prawn (which was Rob’s) was actually a potato and I’ve never seen him so angry. It’s the small things that make me happy but also means I can include an anecdote which has Rob Beckett in there to show what kind of friends I hang around with. I lived with him for four years and he’s doing really well too, FYI. Pete Burns. I was gutted. He was like Dad to me. I actually lived with him in Edinburgh in 1994 when we were both doing some experimental theatre. He seemed to do pretty well after that. If you want to become a successful comedian then your best bet is to live in a house with me at some point during the Edinburgh Fringe. My CV reads; Romesh Ranganathan, Rob Beckett, Matt Forde, Tim Key, John Kearns, Pat Cahill, Rhys James (WIP – he’s getting there). To arrange, please chat to me after my show with a valid ticket. 7pm. Pleasance Dome. Every-bloody-day.